LOGAN, in northern Utah is on the road to Yellowstone, and is also known for being the closest city to the country’s oldest family-operated resort, Beaver Mountain. Don’t miss the chance to try out Utah’s newest ski resort Cherry Peak. 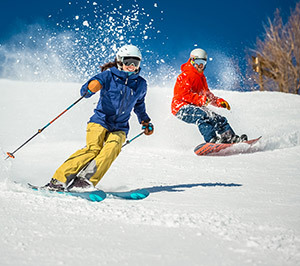 OGDEN is a hidden gem for destination travel, Ogden dishes food on the cheap and is close to two of the country’s best ski spots, Snowbasin & Powder Mountain, along with the local’s hill, Nordic Valley. This town is rugged, but that’s part of it’s welcoming charm. SKI CITY boasts unparalleled entertainment, family-friendly activities and metropolitan amenities. The city’s four ski resorts are located a short 30 minutes from downtown and boast over 500 inches of The Greatest Snow On Earth annually. Catch a Utah Jazz basketball game or the famed symphony after a day on the slopes. PARK CITY is fabulous on and off the slopes. Come for powder and velvety corduroy at two world-class resorts. 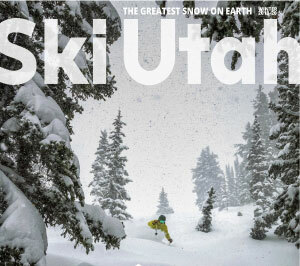 Then, stick around for shopping, high-elevation dining, Utah’s Olympic legacy and posh hotels in this bustling ski town. PROVO AREA is positioned at the southern end of the Wasatch Mountain Range, just 20 minutes from Sundance Mountain Resort. The city of Provo is home to the BYU campus which is nestled at the base of some of the most pristine wilderness in the range. CEDAR CITY is located half-way between Salt Lake & Las Vegas, known as the gateway to some of Utah’s most impressive national parks. Just 45 minutes from Brian Head, this red rock resort boasts Utah’s highest base elevation at 9,600 ft. A hidden gem, Eagle Point sits 1.5 hours to the north. Don’t pass on the chance to throw in a visit to Bryce or Zion National Parks. Just down the road from Park City, the HEBER VALLEY is a slick and convenient family-escape situated between Deer Valley and Sundance Resorts with three state parks, a handful of pristine lakes, a world-class Nordic skiing venue and majestic mountain views. A list of closing dates for Utah's ski & snowboard resorts. Do you have a 5th or 6th grader? If so, apply for the Ski Utah Passport, $45 allows your student to ski all Utah's ski & snowboard resorts. Not sure what resorts to visit, where to stay, or what to do? Try out our suggestion tool. Smith Optics build products to withstand both time and nature. All Smith goggles are handbuilt in Clearfield, Utah. 35 convenient locations around the Wasatch Mountains. Offering ski rack equipped 4x4’s through most eco friendly compact.